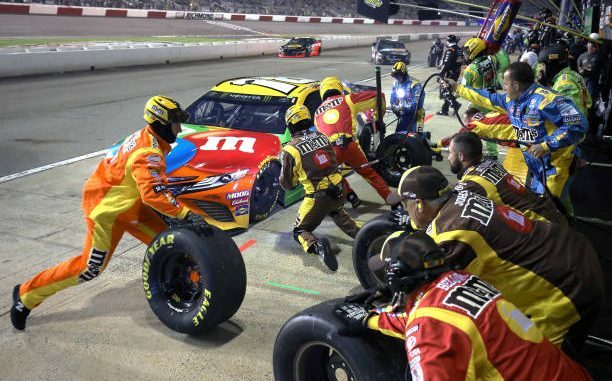 At lap 30 in Saturday night’s Monster Energy NASCAR Cup Toyota Owners 400 at Richmond Raceway Saturday night, there was a collective sigh among most of the fans, and perhaps many drivers, as Kyle Busch completed his move from his fourth place starting position. After all Busch has had a habit of taking the lead in a race and leaving everyone else to wonder what the hell happened. So, it looked like the same dance different song Saturday night when Busch took the lead for the first time. He would go on to lead 101 laps and win the first stage. But the fat lady had yet to sing. Kyle Larson brought out a caution on lap 127 when he lost a tire spun and smacked the wall. He headed straight to the garage as the top runners led by Busch hit pit road. Busch was out first, but he wouldn’t stay there. NASCAR ruled he had sped on pit road and he was sent to the tail end of the field, restarting 26th. No big deal; Busch has overcome adversity before. 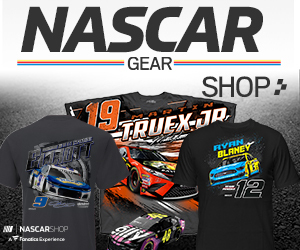 In his last win the week prior at Bristol, Busch rallied back after a first lap crash left him with a damaged Toyota. Saturday night it wasn’t to be. Busch was able to fight his way back inside the top 10, but never contended for the way. He was clearly irritated at his 8th place finish.